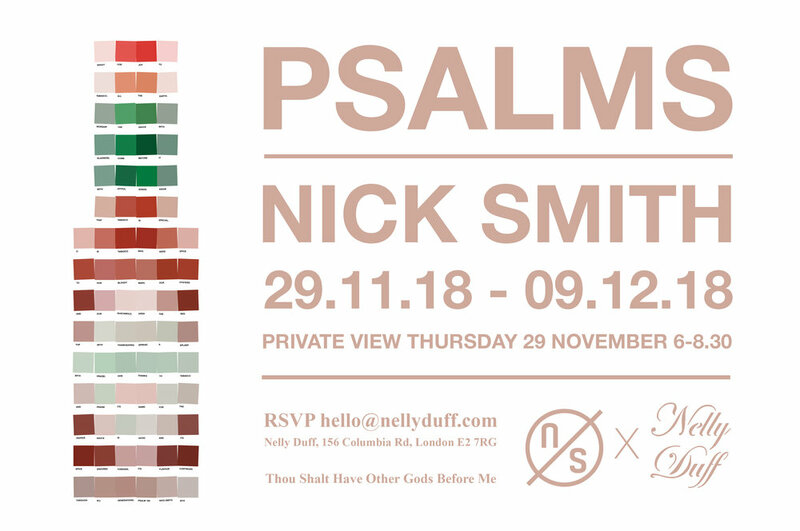 We are excited to announce that Nick’s next exhibition opens on the 29th November at Nelly Duff Gallery in East London. Titled Psalms, this is a print show featuring 10 new prints, each an edition of 40. For all sales enquiries please contact hello@nellyduff.com or call +44 (0)20 7033 9683. If you would like to attend the Private View on Thursday 29th November between 6:00 - 8:30pm please click this link to register your interest.